Founded in 1971, a group calling themselves the “Graduate Student Union” published its first newsletter on February 9, 1972. In this newsletter GSU explained their formation as a response to graduate students who felt that a group was needed on campus “to promote the welfare of graduate students by fighting increasing tuition costs, opposing racial or sexual discrimination in admissions and hiring, supporting graduate student grievances, and generally educating people as to the nature of graduate education and the status of graduate students at U.F.” GSU held their first general membership meeting on October 4, 1972. 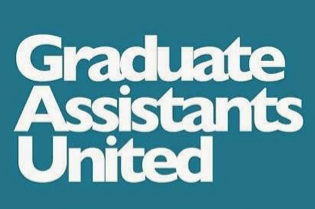 Over the next few years, Graduate Student Union consistently lobbied the administration for wage increases and additional financial aid for graduate students. In 1975, GSU applied for recognition as a labor union and voted to affiliate with the United Faculty of Florida and the American Federation of Teachers (AFT). 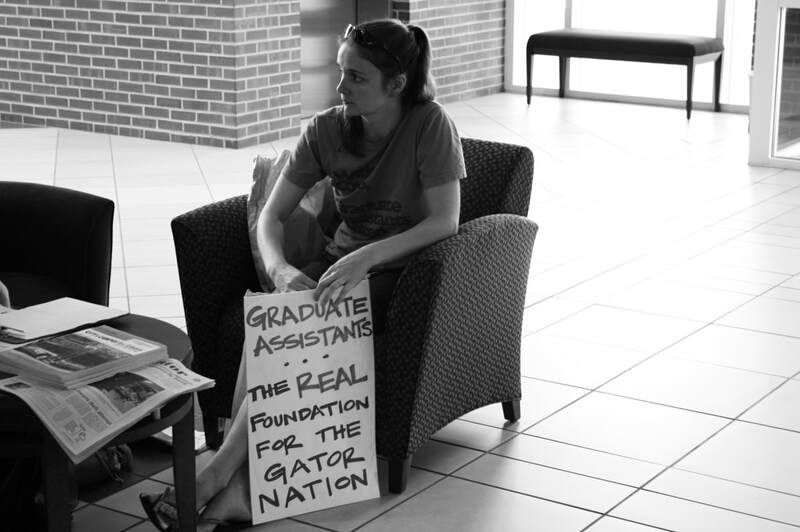 Immediately after filing for recognition, the Florida Board of Regents refused to negotiate with the graduate assistants. GSU filed an appeal to the Florida Public Employee Relations Committee (PERC), which found in their favor. The Florida Board of Regents, however, quickly filed to appeal the PERC’s decision. The Florida District Court of Appeal, First Circuit decided in Spring 1979 that graduate assistants were, in fact, employees and deserved the same right to collectively bargain with their employer as anyone else. 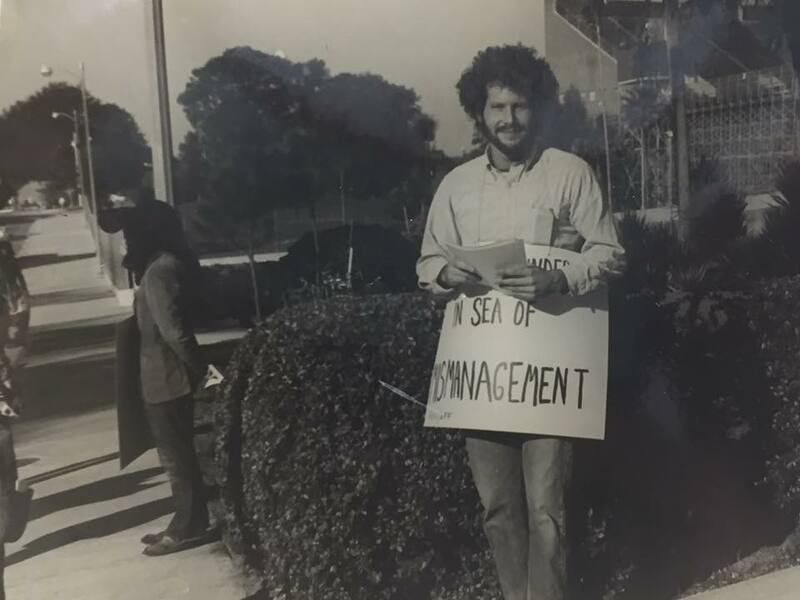 Shortly thereafter in 1980, the Graduate Student Union voted to become Graduate Assistants United and established a steward system so that they could more effectively receive feedback from the new union’s members. By the summer of 1981, however, the Florida legislature enacted legislation exempting graduate assistants (along with fruit and vegetable inspectors) from being recognized as employees. GAU immediately lost all bargaining rights. Fortunately, by the summer of 1982, the Florida District Court of Appeal, First Circuit overturned the Florida Legislature’s legislation and, once again, graduate assistants were recognized as legitimate employees, entitled to union representation. GAU ratified its first bargaining contract on August 2, 1983. Over the next decade GAU’s volunteers won significant protections for its members: five sick days, consistent raises, and improved contract enforcement procedures (including the grievance process in our current contract). Perhaps the most impressive victory came in 1986, when the Florida Legislature voted to waive graduate assistant tuition. Throughout the rest of the 1980s and early 1990s, GAU continued to win wage increases and secure various other employment protections. More recent victories are highlighted by winning subsidized health care (now GatorGradCare) for all GAs in 2006-2007. By 2008, GAU was also able to negotiate a deferment for student fees, which allows GAs to pay their fees months into the semester, instead of paying before receiving their first paycheck. From 2006 on, GAU has focused on ensuring GAs are not forced to live in poverty by negotiating continuous minimum stipend raises. The 2014-2015 negotiating round was one of the most successful ones to date with GAU winning stipend raises for continuing GAs (3.25%), as well as a significant increase in the minimum stipend from $10,500 to $13,000 (for 0.5 FTE appointees). GAU built on this success in 2015, negotiating a flat raise of $430 for all GAs and fee relief of $50. With fees clearly stated in the contract as something negotiable between GAU and the administration, GAU will continue its efforts to negotiate a complete end to fees. In 2017, the GAU bargaining team closed another "full-book" contract negotiation session by adding more money to GAs' pockets through flat raises, increasing minimum stipends and fee relief, and keeping GatorGradCare a sustainable and affordable healthcare plan for all employees until 2020. During this time we also worked hard to fight off many anti-education and anti-labor legislation, including a threat by the GOP-controlled House of Representatives to tax tuition waivers, and another union de-certification bill in the Florida Legislature.